Fall applied manure is often a subject of concern – for farmers, water quality advocates and even the general public. As you know, most farmers have the conundrum of having ideal field conditions for spreading manure in the fall (dry, open, great weather oftentimes) and a need for making sure they have adequate winter storage, but not wanting to lose out on the nutrients in that manure.. Especially producers who farm heavier soils with higher clay content, that try and avoid as much spring tillage as possible. If you are a no-till farmer, you know even better that fall applied manure without incorporation will not yield much of that nitrogen for you next year’s corn crop. 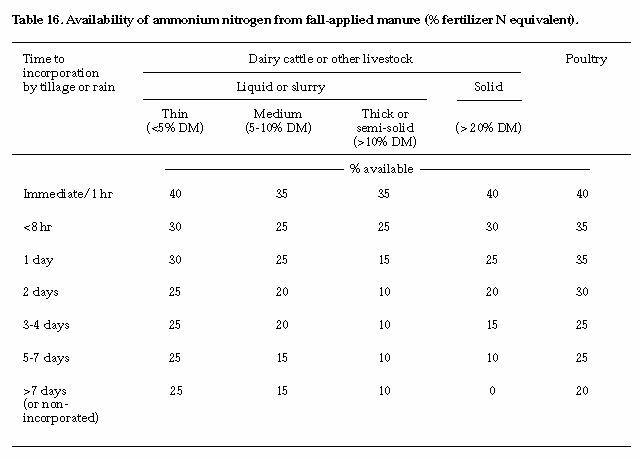 You can lose up to 90% of your ammonium nitrogen with the right (or rather wrong) conditions. So how do we make the most of fall applied manure… plant a cover crop, of course!! Fall applied manure as part of the establishment of a cover crop can be a win-win. Not only do you better utilize your manure, potentially doubling the amount of nitrogen retained, but your cover crop will perform better too. This all leads to better soil coverage, less erosion, better nutrient cycling, and lower fertilizer costs. Not a bad deal! 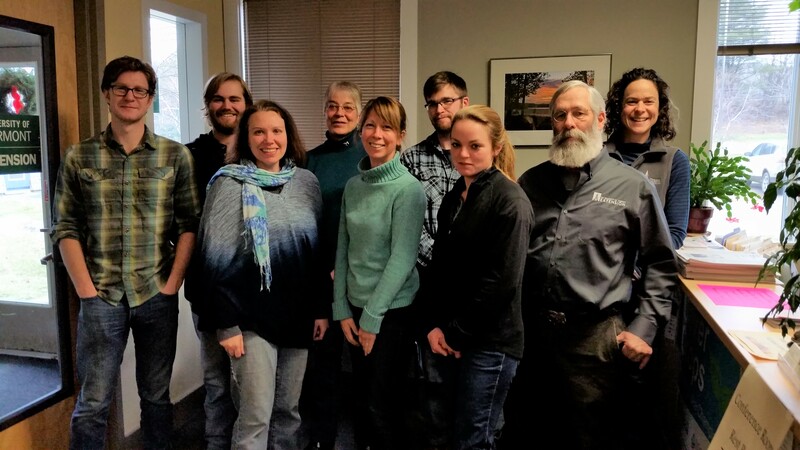 Last fall, we conducted a small demo/experiment at the Farm at VYCC in Richmond, Vt. Although this is not ‘scientific research’ per se, we did utilize a randomized split block design with three different treatments with and without manure. On October 2nd, we seeded 100 pounds of winter triticale per acre with different treatments of ‘Purple Bounty’ hairy vetch…either 10, 20 or 30 pounds per acre with the triticale. Five days later, liquid dairy manure was broadcast over half of all the plots at a rate of around 4,000 gallons per acre. We then measured percent cover one month later in November 2013 and then collected forage samples to analyze nutrient content, measured biomass, and re-measured percent cover on May 15th, right before the cover crop was plowed down. We found that the plots that received manure out performed those that didn’t in all aspects that were measured. Not surprisingly, a fertilized cover crop does better!! Plus you have better utilized your fall manure. The manured plots had double the biomass, double the nitrogen and phosphorus and potassium, and roughly one and half times the soil coverage in the fall and spring. These plots have now been plowed down and were planted to ‘Early Riser’ corn (an 80 day flint/dent variety) on June 7th. No starter fertilizer was applied, and PSNT’s will be taken to make a recommendation for nitrogen later in the season. There is more to come on this topic. This fall will be commencing a two year research project that will investigate combinations of winter rye and tillage radish (in comparison to straight winter rye) established with diary manure. We hope to determine if the addition of the radish in manured systems can amplify winter rye’s effectiveness as a winter cover crop. We also hope to determine the most effective seeding rates and establishment methods.